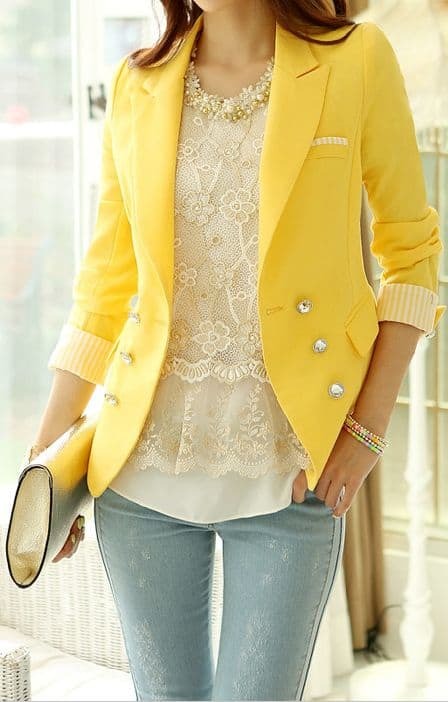 What is the color yellow and what matching colors you can wear with it? This is totally a shade of laughter and smiles, sunshine and lemons, happiness and good mood. white (a gentle contrast creating a sunny look). This shade is not the one everybody wears because yellow is rather demanding being a primary color in any matches. You should apply it carefully close to your face, perhaps preferring just some bright accents like beg, belt, shoes, if you are not sure, it suits your complexion. Otherwise you can use a monochromatic color combo for your whole outfit with two or three versions of one color, for example a deep yellow with lighter one. When it happens you are to have an elegant look, try it with different complementary shades of grey and you will discipline this playful hue a little bit. In order to impress, go ahead and do the color combo it with red or purple, violet. 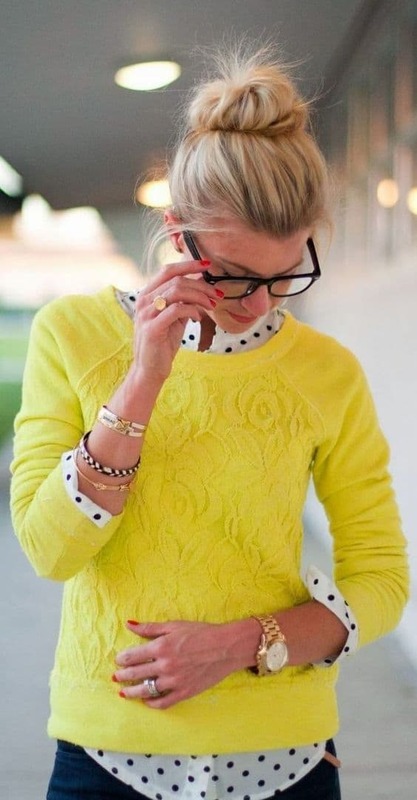 Deciding what color goes with yellow is the best for you, do not forget about your hair, skin and eyes. This color is perfect for blonde with brown eyes but without restrictions. 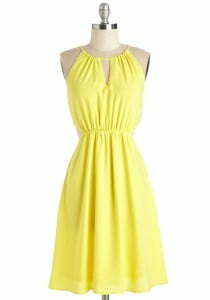 Yellow maxi dress with brown leather belt is image, which is associated with the sea, the summer and of course the sun.